Buying Turf Online - The Easy Way! Buy turf online, it couldn't be any easier! 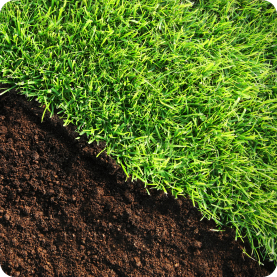 Turf Growers offer a great range of lawn turf grades all of which you can buy online, whether you need to buy turf for a family garden or an ornamental lawn, we have a turf variety which will suit you. If you buy turf online you can take advantage of our special online turf offers and value packs as well as getting free next day delivery and fertiliser. To buy turf all you have to do is go to our online shop and select the turf variety that suits your use and then choose from a value pack or buy it by the roll, each roll will cover 1 square metre. Then simply go to the checkout and enter your delivery details, you can pay online with credit or debit cards via our secure checkout.